Innovative educational approaches have always been a mission for Mindy Bingham. As an adjunct college professor, seminar leader, author, publisher, and community activist, Mindy has dedicated herself to improving education. She has traveled around the country conducting workshops for administrators, teachers, and curriculum specialists. As early as college, Mindy Bingham envisioned someday creating a curriculum that high schools could use to motivate young people to stay in school and prepare themselves for a career and a satisfying life. In 1990, when she finally had the financial reserves to capitalize her dream, she started Academic Innovations from her home office, fulfilling the initial stream of orders from her garage. Today, Academic Innovations works with hundreds of high schools across the country, helping them prepare students for a self-sufficient future. Working with Dr. Rebecca Dedmond of the George Washington University in 2005, Mindy helped in the development of their Freshman Transition Initiative. In 2009, Mindy partnered with the leadership of the Santa Barbara City College Dual Enrollment department to help develop the curriculum strategies for a Dual Enrollment Freshman Transition course and, in 2012, the Get Focused...Stay Focused!® Initiative. 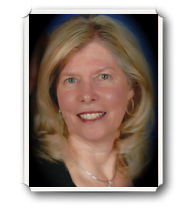 Today, over 70,000 students each year complete courses based on the books Mindy has authored or co-authored; to date, titles authored or co-authored by Mindy have sold over two million copies. 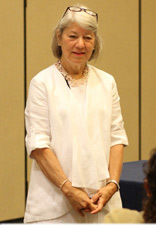 The recipient of numerous national, regional, and local awards, in 2015, the United States Congress awarded her a Certificate of Special Congressional Recognition for Innovative Approaches to Curricula. Founded in 2004 by Dr. Rebecca Dedmond, the Freshman Transition Initiative is a grassroots effort addressing the critical need for classroom-based, comprehensive guidance. A passionate champion for creative solutions to redesign challenges, Dr. Dedmond and her team of experts have worked for more than a decade to stem the rising tide of dropouts at both the high school and college levels. Housed in The George Washington University’s Graduate School of Education and Human Development’s School Counseling Program, the Freshman Transition Initiative developed a definitive set of Standards for a Freshman Transition Course and the 10-step Plan for implementing a systemic Freshman Transition initiative for whole-school redesign and school retention. Among her many professional accomplishments, as the Career Counseling Supervisor of the Commonwealth of Virginia, Dr. Dedmond established a comprehensive career guidance and counseling model. She also served two terms as president of the National Consortium of State Career Guidance Supervisors and led the group in various leadership and research projects that are still implemented around the nation. She was tapped by the World Bank to establish Comprehensive Career Centres in Ghana in West Africa and, before joining GWU, she was the School to Work Director for the Territory of the United States Virgin Islands. Dr. Dedmond was recognized by the National Career Development Association with the 2013 Professional Development Award and honored for Outstanding Service in 2014. She received the Outstanding Service Award for counselor educators from the Washington, D.C. Counselors Association in 2013​, and the National Career Development Association Presidential Award for Outstanding Service in 2016. In addition to numerous articles and briefs, Dr. Dedmond co-authored​ The Project Planning Guide for Implementing a Freshman Transition Initiative used in Freshma​n Tr​ansition Leadership Institutes. Dr. Dedmond works closely with school systems that are tackling freshman transition initiatives and provides personalized technical assistance for their planning efforts. Through ongoing partnerships, she continues to impact the national conversation about freshman transition​ and career readiness. She serves on the Advisory Board to 13 national business and education organizations to require and prepare a credentialed career facilitator for every high school in the nation, as well as a credential that prepares teachers to infuse career readiness concepts into their curriculum. Responding to an outcry for earlier Career Readiness, Dr. Dedmond co-authored the Middle Level Transition Standards (2013).